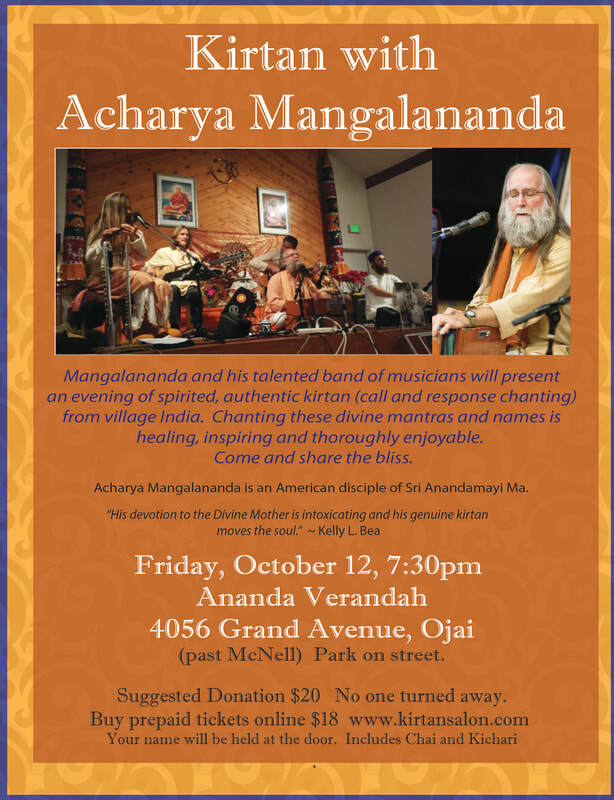 Mangalananda and his band of talented musicians will present an evening of spirited, authentic traditional kirtan (call and response chanting) from village India. Chanting these divine mantras and names is healing, inspiring and thoroughly enjoyable. Come and share the bliss! Acharya Mangalananda is an American disciple of Sri Anandamayi Ma and has been deeply associated with India and its culture since he was 19 years old. He has been a follower of the Path of Bhakti Yoga and Mantra Yoga for over 40 years under the training of Sri Anandamayi Ma, and some of her closest Disciples, including Swami Bhaskarananda ji and Swami Kedarnath. Mangalananda shares both kirtan and workshops in Bhakti Yoga and Swakriya Yoga with people worldwide, touring Europe and the US every year. Mangalananda lived and worked in Ma Anandamayi Ashram in central India for 12 years, where he still serves as an Acharya and Trustee. In 2001, he was asked to help open a school for the local village children. After founding the school, he also taught there for many years. He now resides in the USA in the San Francisco Bay area where he performs kirtan and is attempting to found a Center for Sri Anandamayi Ma there. Join us for Kirtans at the Center for Spiritual Living in Ojai. Unless otherwise announced, they are the first Sunday of the month from 10:00am to 10:30am. Free. Open to All. 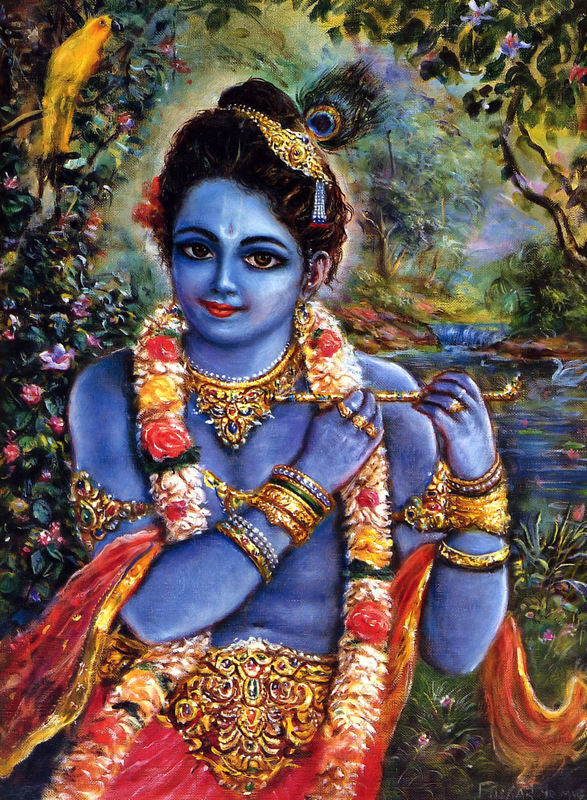 The kirtans are led each month by selected kirtan leaders.